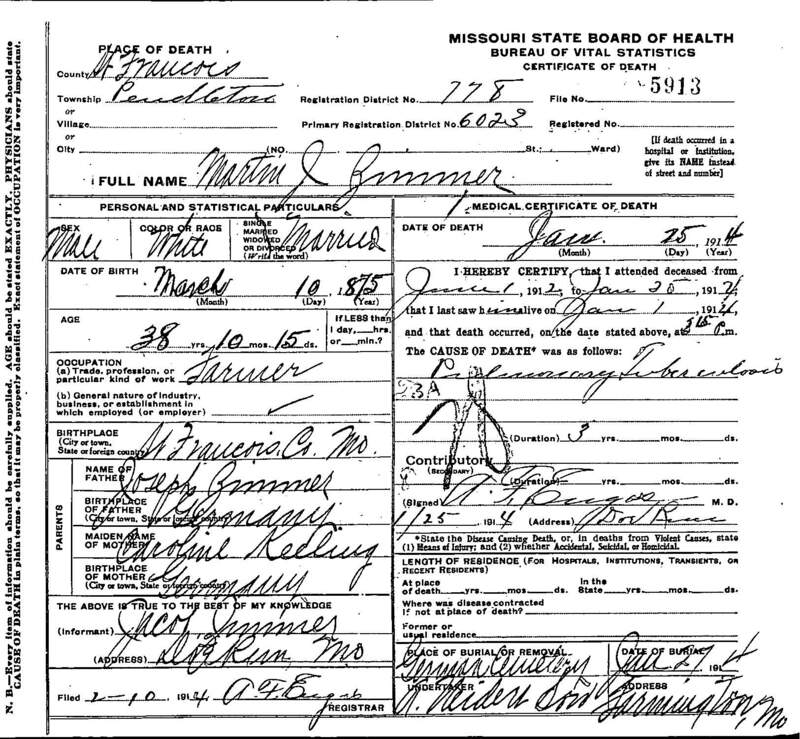 "Death Record - Martin John Zimmer"
Cause of death: Train accident. Lingered for a full year after the accident before dying from pulmonary tuberculosis. Death location: Pendleton, Doe Run, St. Francois County, Missouri. Burial location: German Cemetery, Doe Run, St. Francois County, Missouri.